Antaragange is at a distance of 65 km from Bangalore. Antaragange is at a distance of 2 km from Kolar, which is the base for the trek. Antaragange is a mountain located in the Shathashrunga mountain range. 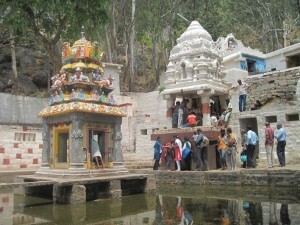 It is located three kilometers from Kolar. It is also a good spot for trekking, rock climbing and other adventure activities.